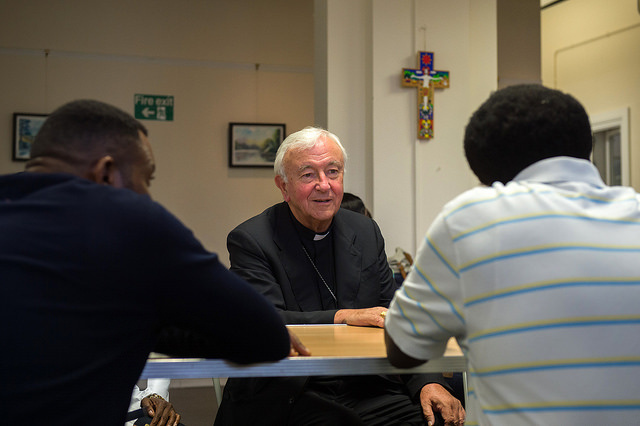 On a visit to JRS, Cardinal Nichols calls treatment of asylum seekers a "shame on our country"
“The suffering caused by the hostile environment is deliberate and purposeful; these policies are directed to make the lives of those struggling to gain recognition of their refugee status as crushingly difficult as possible. 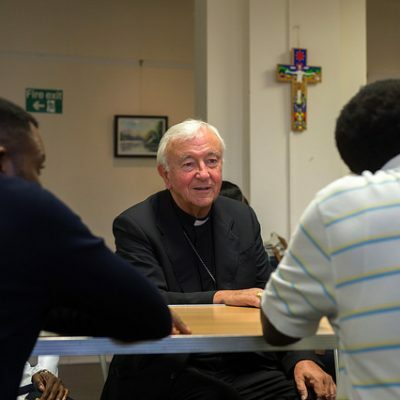 This deliberate and cruel imposition of hardship is not an acceptable way to treat any human being, let alone those seeking sanctuary. 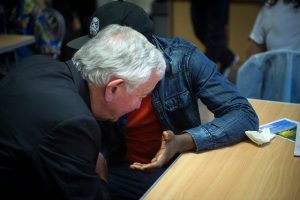 “The asylum seekers we support through our Day Centre have often struggled with destitution and homelessness for many years. Resilient people are made vulnerable by the system itself.